!! 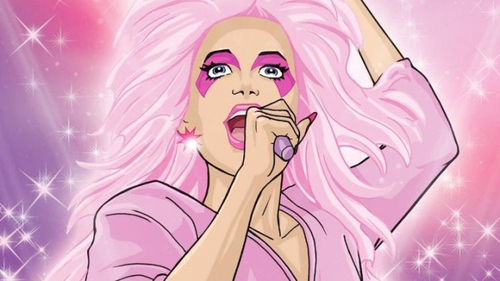 OMG, ‘Jem and the Holograms’ Movie planned for a Oct. 2015 release !! Universal has announced that the “Jem and the Holograms” movie, based on Hasbro’s cult 1980s animated series will hit theatres Oct. 23, 2015! The film will star Stefanie Scott, Aurora Perrineau, Hayley Kiyoko, Ryan Guzman, Molly Ringwald and Juliette Lewis! That’s actually some alright casting! Are you looking forward to checking out the Jem movie once it hits theatres? 1 Comment on "OMG, ‘Jem and the Holograms’ Movie planned for a Oct. 2015 release"
THIS IS NEWS OF THE CENTURY! What could only be better than the remake is if they hire the evil genius Sienna D’Enema to do the re-boot! THAT would be epic and hilarious.